“Glitch Techs,” … is about two kids recruited to battle video-game monsters that have found their way into the real world. The series comes from Eric Robles (“Fanboy & Chum Chum”) and Dan Milano (“Greg the Bunny,” “Warren the Ape”), both mined from Nick’s Artist Collective, an in-house artist-led development program. That’s the basic idea, but of course it doesn’t do the show justice. Nick has a great track record of introducing creative, original animation to the world. Glitch Techs will bring the fun, but it also has immense heart and character. I’m proud to be involved with this show and to be in the company of so many talented, caring people. The one downside of working in animation, of course, is that you have to be patient. The show is set to debut in 2018. Stick around — it’ll be worth it! Congrats Dave. If you need a voiceover specialist, you know where to call. congratulations! Fantastic news. Every time I see a new blog post popping up I hope for three to ten more surprise seasons of Gortimer, but seeing you take on something new is great, too. Enjoy it! I look forward to watching it. 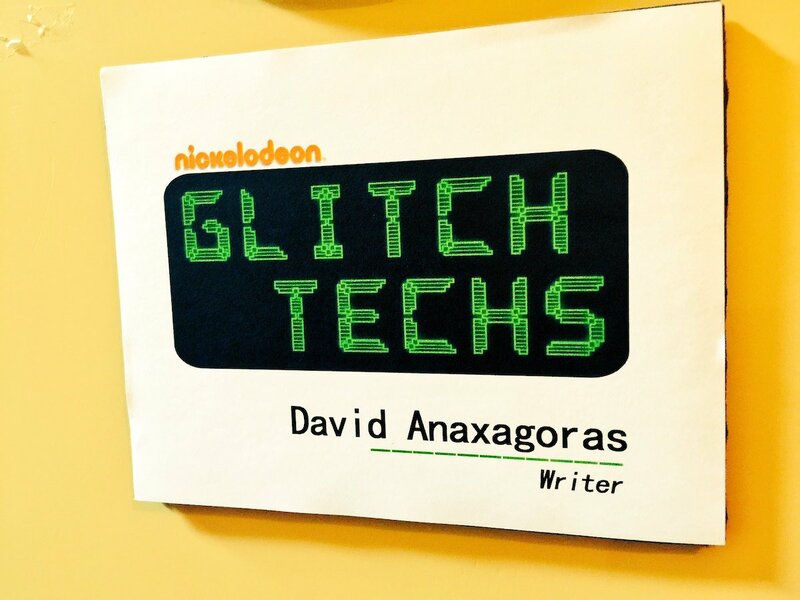 I loved “Gortimer Gibbon’s Life on Normal Street” and know that Glitch Techs will be great with you on board. I wish you the best success. Is anything new on this?!? Is this show gonna be 2D or 3D!?? I was very excited when I Knew about this new SHOW!!!!!!!!!!!!!!!! Paco, not a lot I can say right now. Animation takes a long time to produce. I’m hoping the show will be 2D. I’ve seen some tests and it looks great, but I don’t know what the final decision will be.